Wed 10, 2002. Philadelphia, PA. Photos by Mike Levin. - Global Education and Advocacy. Popcorn Reception. 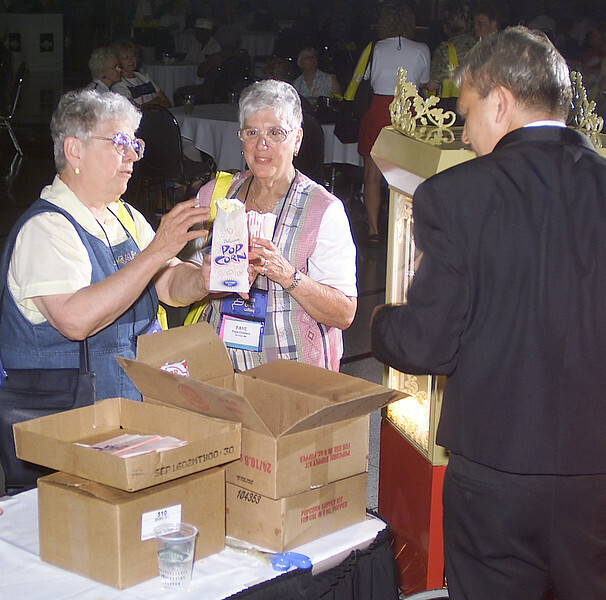 Faye Childres and Barbara Bloomer of Minnesota get their free popcorn from the popcorn guy, Joel Zimmerman.